Before we begin, think about what you want people to associate your business with. Once you know that, it will be much more easy to know what you are going to work towards. So what are the Ways To Build A Brand For Your Small Business? Get started reading and you´ll find out. Having a good logo can make a huge impact. If your logo is unique, then there is a bigger chance of people remembering it and associating it with your brand if they see it. There are several ways to create a logo which looks professional. If you don´t have the experience or knowledge how to do it, then there are loads of logo creator that you can hire.Otherwise, there are a lot of programs and websites that you can use. Programs such as Canva, Logomakr and Designmantic are some websites that you can create free logos with. If you have some money to spend and some knowledge, then Photoshop might do the job. 4. Design a creative business card. Take a look at this business card that looks like an iPhone. This will surely stand out in a world full of paper cards. 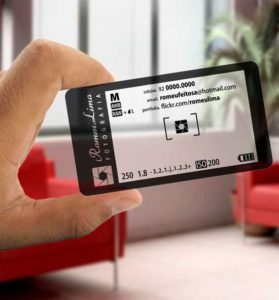 A business card doesn’t necessarily need to cost a lot. However, if you decide to put in a few extra dollars, the outcome can be something unique and stylish that people will adore. Handing people your business card can be an opportunity for you to make an impact and a way to tell people what your company stands for with just a small card. So take this opportunity to turn something as small as a business card into something memorable for the receiving person. If you want people to get a good impression of your company, it is good to be personal. Writing hand written letters or calling customers simply to thank them for their trust can go a long, long way. This means that you are going to focus to stay true to your core values and what the people has associated your brand with. Avoid double standards as much as you can (preferably to 100% ) since this will make some people see your business as an unprofessional one. An example: you are selling shoes made out of dog leather and then on your website, you are saying that you love animals and donate money to a dog orphanage. Get the picture? This is things that you want to avoid. These were some of the Ways To Build A Brand For Your Small Business. Hopefully you can use these tips to brand your own business in a successful way! PrevShould You Use Hashtags on Twitter? NextPredictions of Social Media In 2017!